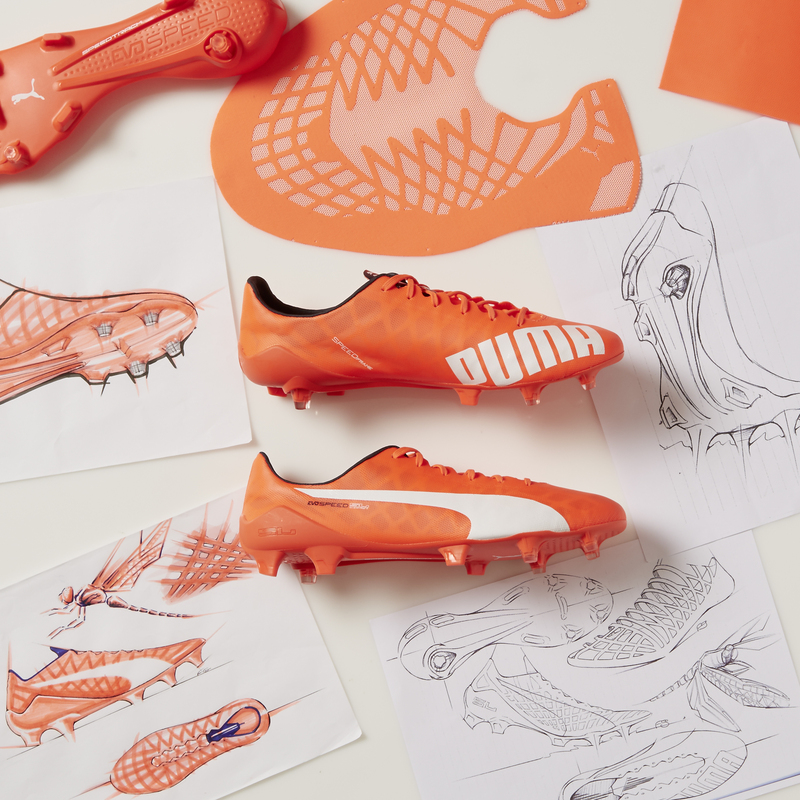 Sport-locker.net can today reveal that light and fast have become lighter and faster with the introduction of PUMA’s innovative football boot, the evoSPEED SL. The newly revealed boot is PUMA’s the lightest match boot to date, designed to give footballers a new game advantage enhancing speed and agility. Some of the world’s best players including Sergio Agüero, Marco Reus, Radamel Falcao, Marco Verratti, Antoine Griezmann and many more will wear the boot from now on. The majority of the radical weight reduction was achieved through the usage of a super light, almost translucent textile upper material. Whilst maintaining the necessary stability, the low weight PUMA SPEEDFRAME adds to the overall lightweight theme of the evoSPEED SL. Further essential support is given through a minimalistic heel counter, which provides the foot with a snug fit in the boot. The traction studs support the players’ forward acceleration and enable better ground penetration. Combined with the five conical studs that are placed in the fore front and medial back end of the boot, change of direction and quick turns are radically improved. The outsole features the raised PUMA SPEEDTRACK spine that further supports torsion when dribbling around opponents. 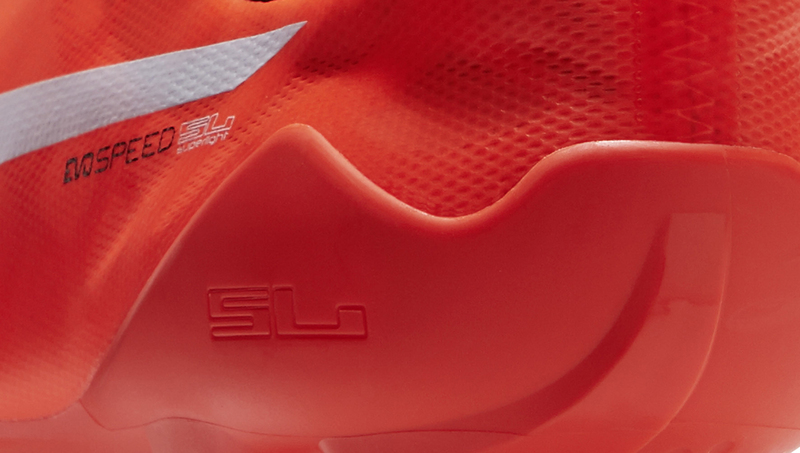 The launch colour of the evoSPEED SL is lava blast, a bright red pantone that was exclusively created for PUMA. 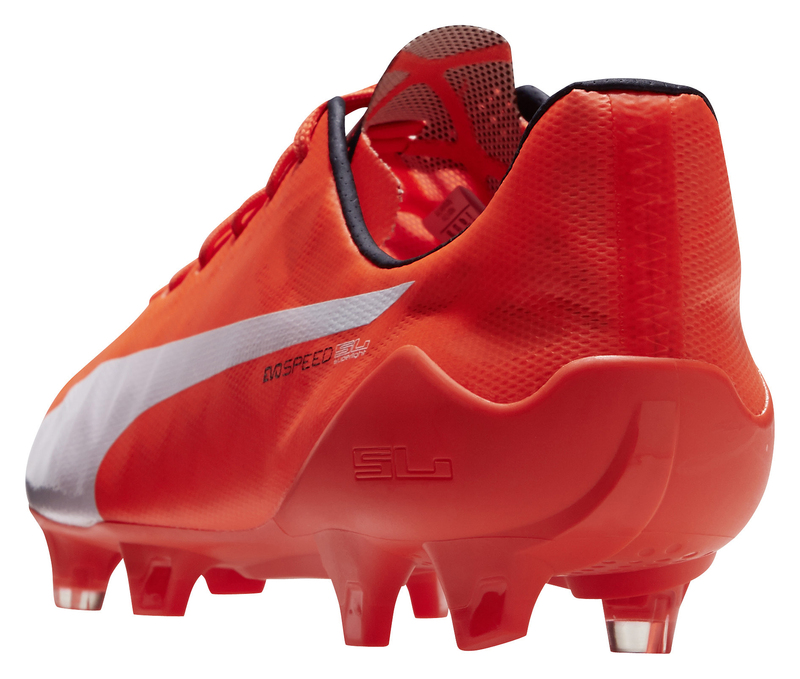 After the evoSPEED SL has now been officially launched and will be worn on pitch by PUMA players, the boots will be available for purchase from July 1st at global football boot retailers and on www.puma.com/evospeed. What do you think of the PUMA evoSPEED SL? Let us know in the comments section below or on our Twitter and Facebook pages.